If you are looking to escape the heat of Halkidiki’s sunny beaches then how about a day trip north and up into the beautiful heartland of Halkidiki. 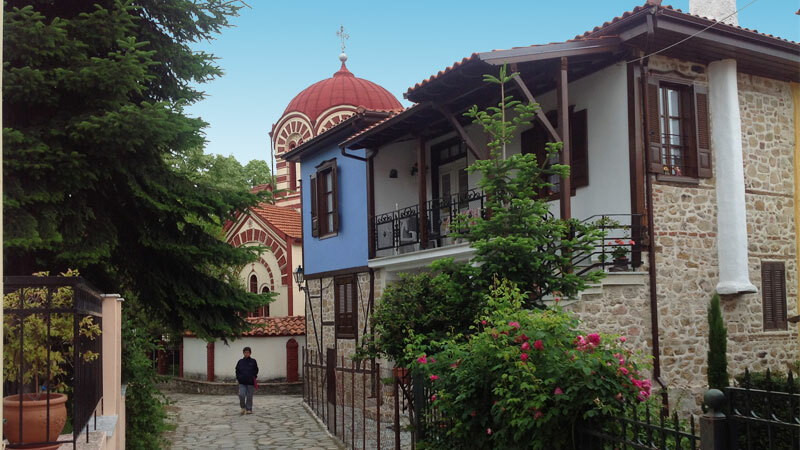 The village of Arnea (Arnaia), about a 45-minute drive north of Nikiti, Sithonia, will give you a glimpse into the life of the local Macedonian culture. This picturesque ancient village is located under the peak of Mount Holomondas. From here you can escape into the woodlands of the wonderful Taxiarchis nature reserve for a hike or a picnic. Greek historian Thucydides wrote the earliest reference to this village. He writes about the Spartan General Vrassidas having departed from ‘Arne’. History tells us that this happened in the year 424 BC. That was the only mention of this village, so there is no way of knowing exactly from when this area was inhabited. Excavations were started 3 km north of present Arnea at what is called Prophet Elias hill, which could give some indication as to the ancient history of the area. It seems likely to have met its end as one of the 32 towns under the Olynthian league that were destroyed by Philip II of Macedon. In the 15th century AD this location became inhabited again. A settlement called Liarigovi was founded. It was listed as one of the 12 villages that produced cast-iron; collectively they were called the ‘Mantemochoria’. This mountainous area had always been an important mining region. By 1821 the Ottoman Empire was going into decline. When the Greek revolution began, the Turks destroyed Liarigovi. The locals rebuilt but continued to under Turkish occupation until 1912. In 1928 the name was changed from Liarigovi to Arnea (Arnaia). The people of Arnea have always lived off the land occupying themselves with logging, mining, agriculture, animal husbandry, bee keeping and carpet weaving. The architecture shows that the people were well off. So what can you do in Arnea? If photography is your hobby then there are plenty photo opportunities to be found in Arnea. Just strolling the old cobblestone streets and alleys looking at the old Macedonian houses and buildings is enough to make the trip north. The History and Folklore museum just off the center square also gives details as to the local way of life in the area of Arnea. Arnea is a good starting point to make a hike to the 5th century AD ruins of the castle – Neposi. The remaining wall has a height of 4-5 meters and was built upon former foundations possibly going back as far as 1500 BC. In the forest around Arnea you can also come across some beautiful waterfalls. 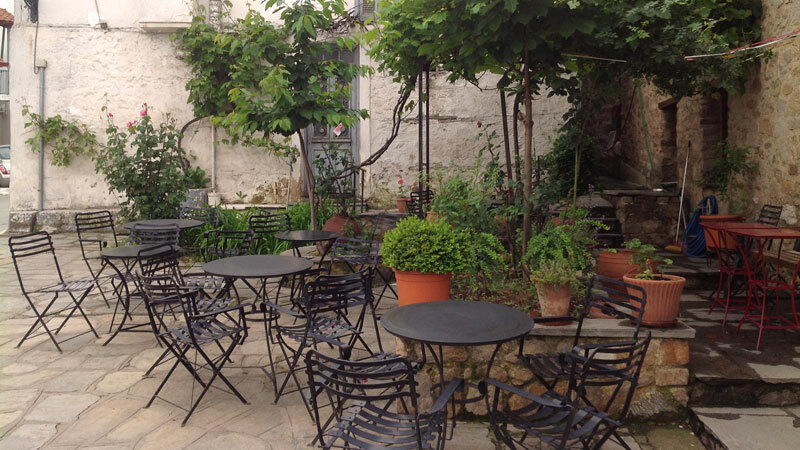 Domaine Claudia Papayianni is one of the recommended wineries on the Halkidiki tour route. The underground cellar is open for wine tasting so you can sample her award winning wines right amongst the barrels that age them. If you have your own transportation, combine your drive up to Arnea with an Aristotle tour – a trip to Stageira (the birthplace of Aristotle) as well as Aristotle’s park in Stagira (not to be confused with Stageira) which is dedicated to this famous philosopher and his contribution to science.